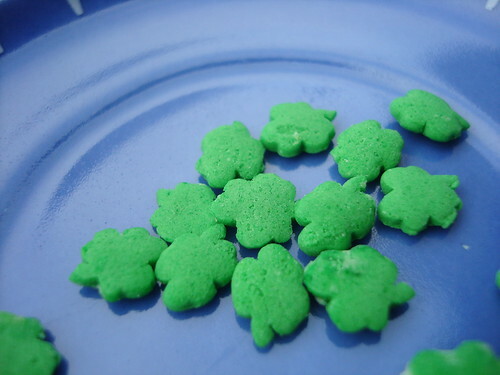 St. Patrick's day may be over, but the ultimate symbol of green excess is still available through the end of the month. 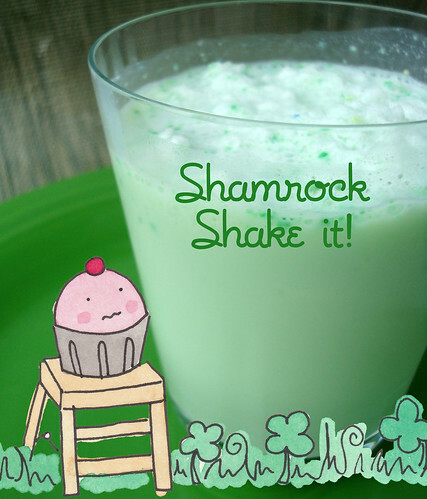 No, we're not talking about green beer--we're talking about that green monster of a cold confection, the Shamrock Shake. There's something delightfully trashy about this shake, which has clearly resonated with the public--there's even a movement to make it available year round. But somehow, as attracted as we are to this never-found-in-nature-green drink, we can't seem to make ourselves cross the threshold of those golden arches--must have seen Super Size Me one too many times. Luckily, we've come up with a solution to make something just as satisfyingly unhealthy at home--and this recipe actually has shamrocks. 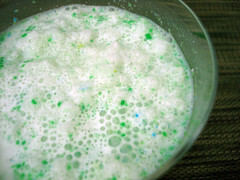 So bad it's good, in a rot-your-teeth-out sort of way; plus, with St. Patrick's day baking supplies on sale, it's also an extremely cost-efficient treat. Directions: Pour in blender; blend until smooth. Pour in your favorite glass that will allow the green to show through. Bask in the sugary green glory. Serves one. 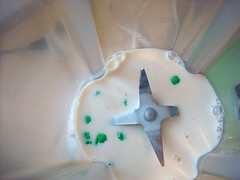 * Optional note: Feel free to add Bailey's Irish Cream, Creme de Menthe or straight whiskey to taste.